With more than 1% of U.S. adults in prison or jail, what happens to their children? A recent meeting of the Alameda County Children of Incarcerated Parents Partnership (ACCIPP) discussed issues growing out of the staggering number of arrested parents. As Michelle Alexander points out in her book, “The New Jim Crow,” nearly a third of black men are likely to spend some time in prison, only to find themselves permanently stigmatized second-class citizens after they are released. Her book argues that the “War on Drugs” which filled America’s prisons with disproportionate numbers of African Americans and low income people, was really a continuation of a race war by other means, a social control program aimed at pushing back the gains of the Civil Rights Movement. The Chronicle of Social Change reported that in a survey of 100 children of incarcerated parents conducted in San Francisco by Project WHAT!, 43 percent of the children had witnessed their parent’s arrest, and of those, 51 percent witnessed violence or abuse by an officer against their parent at the time of arrest. “Because their parents are often stigmatized and demonized, it prevents people from understanding that these kids are like all kids in many ways, and they’re unlike all kids in many ways,” said Carol Burton in an interview with The Chronicle of Social Change. Burton is co-chair and coordinator of ACCIPP. WEAP stands in solidarity with the Greek attempt to support the needs of human beings, not the profits of rich corporations. When the world’s global money managers forced Greece to impose austerity on the Greek people, they were just making sure that rich elites and international corporations could profit from pushing the Greek economy into failure. Calls for austerity and privatization in the U.S. are doing the same thing, making sure that corporations benefit at the expense of the rest of us. Click HERE to read how a tiny handful of super-wealthy financial corporations dictated the ruin of the Greek economy. In the U.S., the corporate dictatorship that has captured the allegiance of both major political parties is pushing similar austerity measures on U.S. workers. Why? Because the microchips and algorithms of the electronic revolution allow them to produce goods – and increasingly services – with less and less human labor. They don’t need workers anymore, so they don’t want to feed, clothe, educate, house or provide benefits for workers they don’t need. The Greek people are saying no more, we’ve had enough, we will not accept this trashing of our workers and our families by Global money managers intent on enriching global corporations. The question is whether U.S. workers will continue to enrich a tiny clique, and continue to fuel the corporate dictatorship, or use the power of the robot revolution to meet human needs for the good of the entire society. Read more details here: Greece-What You are not Being Told by the Media. Are police killings of unarmed African Americans finally kicking off a new social movement for human rights and against the corporate military security state that is throwing away all low income workers? Black Agenda Report Executive Editor Glen Ford says – maybe. He compares the protests in Ferguson, New York City and elsewhere around the country with the Civil Rights Movement of the 1960s and the subsequent “slide into hell for the masses of black folks.” That slide, he says, is being ignored by a “Black Misleadership Class” deeply connected to the “New Jim Crow,” the repressive state tactics that have filled America’s prison industrial complex with those the corporate military security state considers disposeable. The New Movement: Are We There Yet? After decades of misleader-induced lethargy and quietude, Black America is finally in motion – or, at the very least, earnestly seeking ways to resist being plunged deeper into the abyss. The nascent “movement” is more like a pregnancy than a full-term child, and thus does not yet have a name beyond the focal point of “Ferguson.” Yet, it is kicking its way into the world robustly – even seismically – registering nearly two hundred demonstrations in the week following the non-indictment of killer cop Darren Wilson. This baby is reaching self-awareness in the womb of struggle, and will emerge screaming its own name at the top of its lungs. Unlike its older siblings, Civil Rights and Black Power, this movement-in-the-making has no choice but to challenge the very legitimacy of the State and its armed organs of coercion and control: the police and, inevitably, the entire intelligence and national security apparatus of the ruling regime. Poor baby, but such is her fate. A half century ago, when Civil Rights triumphed over official apartheid and Black Power strutted proudly across the landscape, a national white consensus quickly congealed around a project to contain the “Second Emancipation”: Mass Black Incarceration. The project began in high counterinsurgency drama with the launching of the first SWAT attack on the Black Panther Party headquarters in Los Angeles, in 1969. The initial blueprint and funding for the vast expansion and militarization of local police was established through the Law Enforcement Assistance Administration (LEAA), a product of the Omnibus Crime Control and Safe Streets Act of 1968 signed into law by President Lyndon Johnson, the great “friend” of Black and poor people (and Vietnamese). The FBI’s COINTELPRO spooks, provocateurs and assassins shredded the ranks of Black radical leadership, killing scores and burying many more in their dungeons, while President Richard Nixon’s War on Drugs created the legal and physical infrastructure to put the Black America poor on permanent, nationwide lockdown. By 1970, Mass Black Incarceration had become a foundational organizing principle of U.S. domestic policy. Over the next four decades, the total prison and jail population would increase more than seven-fold, with Black and brown inmates becoming, for the first time, the overwhelming majority of inmates. The Black Mass Incarceration State – or, as Michelle Alexander calls it, the New Jim Crow –penetrates and defiles every aspect of Black life. It killed Michael Brown and Trayvon Martin and Sean Bell and Oscar Grant and many thousands of other martyrs to police terror, stigmatized a whole race of survivors, and warped intra-Black social relationships beyond measure. Yet, even as two generations of Blacks were systematically dehumanized by a Mass Black Incarceration State that operated in near-identical fashion across the width and breadth of the country, the Black political class deepened its collaboration and identification with the ruling regime, reveling in their imagined and actual proximity and usefulness to Power. Black mayors and city councils functioned as cogs in the wheels of the people-crushing machine, dutifully sending millions of fellow African Americans into prisons and cemeteries, and then partying every September at the Congressional Black Caucus gala dinner, in Washington. Some of us at BAR call them the Black Misleadership Class, but that is far too kind. Therefore, whatever this new Movement is to be called, it must find itself in opposition to the Black Misleadership Class and its constellations of collaborators in mass Black oppression, including – no, especially – the high profile Quislings of the Congressional Black Caucus. The movement that is now being born is unlike the Civil Rights struggle, which was, of necessity, a fight for full Black protection under the umbrella of bourgeois liberties afforded or implied by the U.S. Constitution. The Black Mass Incarceration State was created as a direct response to the success of the Civil Rights Movement. This “New Jim Crow” proved fantastically effective in containing the self-determinist imperatives of the Civil Rights Movement’s short-lived successor, Black Power, snuffing out its more radical political elements while diverting the energies of the newly upward mobile Black classes into collaboration with the supposedly “enlightened” corporate regime. The post-Sixties Mass Black Incarceration order became steadily harsher with U.S. capitalism’s rejection of the social contract with labor, finance capital’s rise to political hegemony, and the quickening cascade of global capitalist crises. After 1980, the pace of general Black economic and social progress slowed to a crawl or, in some indices, halts entirely, soon accompanied by a renewed War on Drugs (crack) and another round of draconian penal legislation and prison building. This slide into hell for the masses of Black folks had no effect on the political behavior of the Black Misleadership Class, which continued to revel in its Oprahs, the growing ranks of Black generals and corporate executives, and every trophy awarded to Black movie stars. In 1986, half the Congressional Black Caucus voted for 100-to-1 penalties for crack cocaine versus the powdered kind. It was no great leap at all when, 28 years later, four out of five CBC members voted to continue arming local cops as if they were Marines preparing to assault Fallujah. Given that the “traditional” civil rights organizations have always acted in close concert with their state and national legislative Black caucuses, the CBC’s behavior is a good measure of the political stance of the larger Black Misleadership Class in relation to the rest of Black America. The lesson of history is clear: the selfish, grasping classes that were propelled into leadership of Black America by the opportunities opened to them by the mass-based Civil Rights Movement, and whose hold on leadership was further strengthened by the State’s decimation of Black radicals and the diversion (and perversion) of popular Black Power sentiments into Democratic Party politics, will not play any positive role in the new movement directed against the State’s police. This, alone, sets the nascent movement apart from its predecessors, in that there will be an entrenched, organized class of Black people deeply connected to Power who will attempt to thwart and betray the movement at every critical juncture. Most importantly, this movement is fundamentally different than the Civil Rights struggle because it is directed against the police, the embodiment of the State’s monopoly on the use of force. Inevitably, it challenges the legitimacy of the American State – the same government that is currently led by a Black man and which has overseen the militarization of police and the relentless enhancement of the Black Mass Incarceration State for nearly a half-century. Under these circumstances, some level of violence is inevitable – the police will make sure of that, and Black youth will demand payback. Moreover, although it is necessary and right to pursue reforms, especially to establish the most thoroughgoing community control of the hiring, firing, and tactical and strategic direction of local police, reactionary white majorities in state legislatures are likely to stymie such reforms at every turn. In the final analysis, cities will almost certainly have to be rendered ungovernable before the State will accede to substantive people-power demands – which was why Ferguson posed such a threat to power, and such a strong appeal to those who desperately need a fundamental change in power relationships in Black America. The movement-in-the-making has been inexorably propelled by the objective facts of Black urban life to the same political juncture that confronted the newly formed Black Panther Party for Self Defense, in late 1966. This does not mean that the new movement will have to take the same path, but it must confront much the same quandaries, against a far more powerful national security state. The comparison is inescapable, for the simple reason that the “police army of occupation” that the Panther Party struggled against is the same one that killed Michael Brown and the rest of the current era’s victims – only far bigger and better armed, backed by an incredibly pervasive intelligence apparatus. The circumstances of struggle will be more difficult than any other that Black people and their allies have faced since Reconstruction was sold out by northern capital in 1877. However, the alternative is continuation of the Black Mass Incarceration State, buttressed by a lawless gendarmerie – a regime that has led to African Americans making up one out of every eight prison inmates on the planet. In this vortex of struggle, the newborn movement will name itself, and choose its own leaders. Saturday, Oct. 4, 10am – 2pm in the Laney College Bistro, 900 Fallon St., Oakland, 94607. Hosted by WEAP, co-sponsored by Laney, Associated Students of Laney College, Black Students Union, Peralta Federation of Teachers and Ethnic Studies. Sunday, Oct. 5, 5pm – 8pm at Tapestry Ministries, 1798 Scenic Ave. on the Pacific School of Religion campus in Berkeley. Hosted by WEAP, co-sponsored by Tapestry Ministries. Tuesday, Oct. 7, Noon – 2pm in the Laney College Forum room, 900 Fallon St., Oakland, 94607. Hosted by WEAP, co-sponsored by Laney, Associated Students of Laney College, Black Students Union, Peralta Federation of Teachers and Ethnic Studies. Wednesday, Oct. 8, 9am – 1pm in the Huey P. Newton Room at Merritt College, 12500 Campus Drive (off Redwood Rd. ), Oakland, 94619. Hosted by WEAP, co-sponsored by Associated Students of Merritt College and the Black Students Union. Thursday, Oct. 9, 5:30pm – 8:30pm at Service Employees International Union Local 1021 in Oakland, 155 Myrtle St., Oakland. Hosted by WEAP, co-sponsored by SEIU, the Social and Economic Justice Caucus, and the African American Caucus. Friday, Oct. 10, 11am – 1pm College of Alameda in The Pitt (F Building), 555 Ralph Appezzato Memorial Parkway, Alameda, 84501. Hosted by WEAP, co-sponsored by Associated Students of Alameda College. Friday, Oct. 10, 5:30pm – 8:30pm at Service Employees International Union Local 1021, 350 Rhode Island St. in San Francisco. Hosted by WEAP, co-sponsored by SEIU, the Social and Economic Justice Caucus, and the African American Caucus. Why should you care about Michigan? Because the economic earthquake battering Michigan is headed our way. Michigan is our early warning system of how the 1% intend to keep the 99% in line as they keep raking in huge profits while workers continue to be thrown out of good jobs by the exploding laborless production of the electronic revolution. The big question is WHY? WHY are workers scrambling all over the U.S. while corporate profits soar to new record highs every quarter? WHY does the small number of good jobs left continue to shrink? WHY do elected officials preach austerity to us while they give away billions in public dollars to help private corporations profit? If the economy is in recovery, WHY are all the profits going to corporate executives while workers actually lose ground? Do elected officials really believe private business can do everything better? It’s NO ACCIDENT that the pressures on workers keep growing. There is an agenda behind the profoundly unfair combination of rising wealth and deepening poverty. It’s an agenda for complete corporate control of the economy, so it can be shaped for maximum profits as workers drop like flies. The key is that with laborless electronic production corporations don’t need workers like they used to. But they do still need profits. The history of labor shows that companies ruthlessly throw workers on the scrap heap whenever they don’t need them anymore. Now the labor-replacing microchip has dramatically changed the landscape for all workers. The old industrial-age social contract of lots of good jobs with good benefits in exchange for a good day’s work is gone forever. Workers have to play by new and much harsher rules. Why isn’t this obvious to us? Partly because we usually don’t notice the national narratives that help shape our thinking. As one of the fighters in Michigan has said, there had to be a national narrative about the worthlessness of Native Americans to allow us to slaughter and displace so many of them. There had to be a national narrative about African Americans being subhuman in order for us to enslave and torture so many of them. There had to be a national narrative about the inferiority of women in order for us to treat them as less than equal to men for so long. National narratives are extremely useful tools for social control because we tend to accept them so easily. Today’s national narrative is the need for austerity, and it’s being pushed most strongly by global corporations. The same corporations that are racking up the largest profits and cash reserves in history. When multi-billion dollar corporations and their millionaire and billionaire executives push austerity, they really mean continued maximum profits for themselves and austerity for the rest of us. Michigan is important because the corporate agenda of doing away with anything that interferes with maximum profits is more advanced there, and more easily seen. But in fact, that corporate agenda is pushing forward everywhere. Let’s look at 4 examples – threats to democracy, water, pensions and privatization. In 2012 Michigan voters threw out a state law that disenfranchised citizens by allowing appointed Emergency Managers to strip all power and duties from public elected officials. Then the legislature and the governor, pushed by strong business interests, wrote an even more powerful Emergency Manager proposal and made it law. Appointed Emergency Managers now run 17 places in Michigan, including Detroit, leaving public elected officials there powerless. In the Bay Area, the equivalent of Michigan’s Emergency Manager system runs San Francisco City College, once the state’s largest community college. Its original 85,000 enrollment has shrunk dramatically in the 15 months since an accrediting commission threatened to yank its accreditation. The threat had nothing to do with its quality of education and everything to do with shaping its curriculum to fit the corporate agenda. Financial strategies, including pension and health care costs, were big issues. The needs of corporations have won the battle for the attention of American public elected officials of both major parties. The few elected officials who still fight for working people find themselves isolated and defanged in their arenas of power. The right to water, the giver of life, is under attack. In Michigan, under Detroit’s Emergency Manager, the city cut off water to 100,000 mostly poor households that had fallen behind as little as $150 on their water bills. But Detroit didn’t shut off water to corporations that were as much as $400,000 behind. A United Nations committee was outraged, calling Detroit’s tactics a violation of the human right to water. In California the worst drought in memory is making the right to water a huge issue. Farmers are already in trouble in the state that grows half of the fruits, vegetables and nuts used in the U.S. Big city residents, who haven’t felt the impact yet, soon will. Farmers use 80% of California’s water, much of it subsidized by taxpayers. It now costs them up to 10 times more than before the drought, up to $1,100 per acre foot. An acre foot is enough to supply an average Southern California family with water for 18 months. 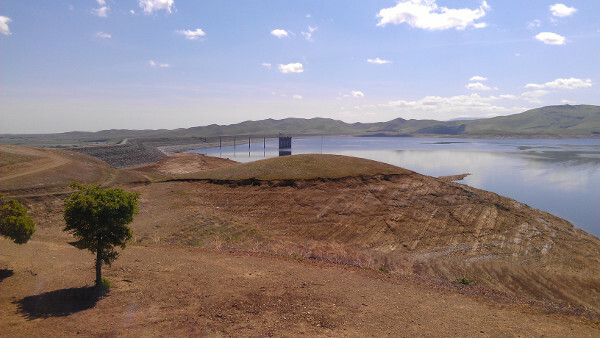 If the drought continues, is it people or corporations, including the vast corporate farms of California agribusiness, who will get priority for the water they need? And what will families do when they can’t afford the higher water bills? Right now the oil companies that use enormous amounts of water to force oil and natural gas from deep underground, are suspected of pushing for scarce California water to be privatized and sold to the highest bidder. Oil companies are reported to be willing to pay up to $3,300 per acre-foot, and the huge Westlands Water District, which supplies water to almost 10% of California’s farmland, has been accused of making money by selling some of its publicly subsidized scarce water to oil companies. In Michigan Gov. Rick Snyder has said wage, benefit and pension obligations to workers represent “a national problem” because elected officials in financially troubled cities “were not successfully managing their cities.” That means corporations have the right to maximize their profits, but public officials don’t have the right to meet the basic needs of their citizens, especially lower income citizens who populate financially troubled cities. In California financially troubled Stockton and San Bernardino, the state’s largest bankrupt cities, tried at first to protect the pensions of their workers when they filed for bankruptcy. But as pressure from business interests mounted and Detroit retirees reluctantly accepted a 4.5% cut, both California cities backed away from trying to honor their pension obligations. Stockton now proposes converting $544 million in lifetime retiree health benefits into a $5.1 million one-time payment. That gives workers just under a penny for every dollar promised them. And a judge’s ruling due any time now could declare Stockton’s workers no more worthy of protection than any of its corporate debtors. Such a ruling could encourage other California cities with large pension debts to file for bankruptcy to cut worker pension payments. For about a year San Bernardino stopped paying into California’s public worker pension fund, called CalPERS. While it is once again making payments, it has refused to make up $13.5 million worth of back payments. A court-imposed gag order prevents a proposed settlement from being publicly disclosed. In Benton Harbor The Rev. Edward Pinkney has been leading a 20-year fight to keep the Whirlpool Corp. from gentrifying the city and privatizing a public waterfront park. His tactics include recall petitions against local officials who side with Whirlpool’s agenda. Now officials have filed phony vote fraud charges against him for the second time. It is a clear attempt to silence an effective critic. In California, Silicon Valley millionaires are driving an expanding gentrification that is turning Silicon Valley into Silicon Bay Area. Gentrification is an important part of the corporate agenda because it drives the poor out of sight, and raises neighborhood incomes to the point where they can afford privatized services like security and education. Yet corporations are fighting against a livable minimum wage. Business lobby pressure watered down minimum wage proposals in Berkeley and Richmond, and killed a state legislature proposal to raise the state minimum wage. Workers in California are also under particular attack from employers trying to lower wages and benefits and even break public employee unions, which are some of the strongest in the nation. A weakening of unions would allow more public services to be privatized. Successfully fighting the corporate agenda requires new tactics, because of the way electronic laborless production has changed the employment game. 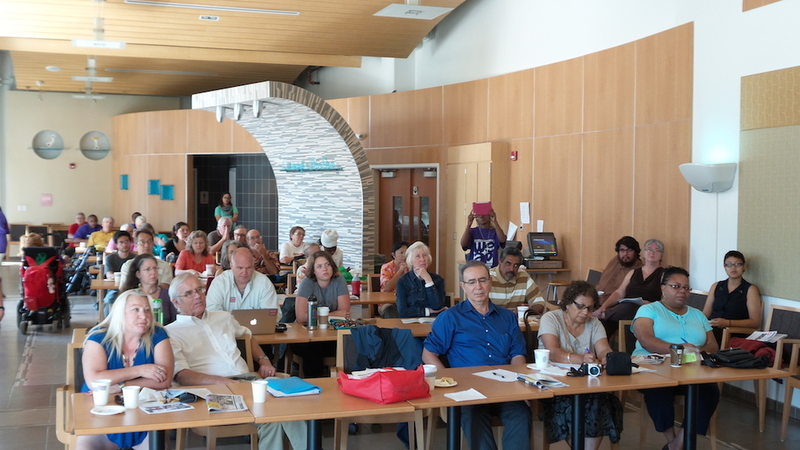 In Michigan it was a coalition of grassroots organizers, labor unions and community groups that put together the referendum which overturned the first Michigan Emergency Manager law in 2012. People from different stratas of the working class came together to fight for something in all of their interests. This was an example of a working class response to what is clearly an ongoing ruling class attack. In Ferguson, MO, the uprising against the murder of unarmed teenager Michael Brown showed that to be effective, such coalitions have to be in place long before an emergency comes up where you need them. Building them means working to build mutual support for other people’s issues, as long as the goal is a better deal for working people. The military-style crackdown against peaceful protesters that police mounted in Ferguson is another example of a battle plan that serves the corporate agenda. Poverty has increased dramatically in Ferguson over the past decade and law enforcement has been searching for ways to keep dissatisfaction and unrest from exploding in ways that would be bad for business. We have seen this played out in various ways in Bay Area protest demonstrations, including the crackdowns against Occupy and against the shutting down of the Oakland Port. Working families are in trouble everywhere – and especially in Michigan, where state law replaces democratically elected officials with appointed Emergency Managers who have the power to sell off public property, shut down schools and change or cancel union contracts. Talk about taxation without representation! This is how thousands of poor Detroit residents recently got their water shut off while delinquent corporations owing thousands of times more were allowed to keep their taps flowing. 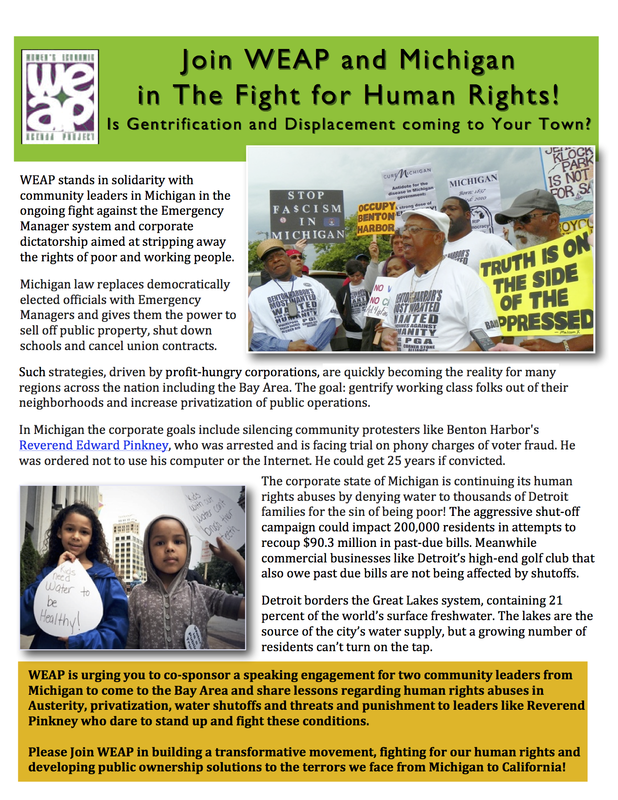 WEAP believes community leaders fighting the Emergency Manager system, corporate dictatorship and austerity in Michigan have much to teach us about Bay Area efforts to strip away the rights of working people, employed and unemployed, and poor and part time workers. Watch the WEAP website for more details on a planning speaking tour bringing community warriors from Michigan to speak in the Bay Area. Or click here if you are interesting in endorsing or sponsoring the tour. Michael Sepic of Berrien County is a corrupt prosecutor who does not work for the people,but works to please Whirlpool. For my current prosection (persecution) Sepic and the sheriff brought in a hired gun to testify: Mark Geoff. Geoff is a forensic document examinerwith the Mich. State Police. Geoff’s testimony was limited to an opinion having no substance. He claimed the dates were changed with different ink, which made no sense at all. However, he specifically testified that he could not determine who made the changes or when they were made.Geoff provided no evidence regarding who did it or when it was done. There is absolutely no evidence that a crime was committed. Every single person who signed the petition told the sheriff they signed the petition on the date or altered (corrected) the date themselves. There was no crime committed.Prosecutors continue to lie, cheat, and manufacture evidence to send innocent citizens to prison. They have no accountability, and hide behind the prosecutorial immunity law like the cowards they really are. If you do not believe these sort of things happen, you are living in an isolated world. If you think this does not happen in your city, you are wrong. Here in Berrien County it happens every single day the courthouse is open. Removal of the Benton Harbor population is the goal – by any means necessary. October 20, 10:30am, jury selection Oct. 23, and the trial Oct. 27-31. My attorney, Tat Parish, filed a motion with the Court of Appeals on July 9 to quash the June 5 bind-over due to lack of evidence or no evidence. As we all know, there is absolutely no evidence that I or anyone else committed forgery – no handwriting expert, no confession, no witnesses, or evidence a crime was even committed. Sheriff Paul Bailey and Prosecutor Mike Sepic made up the false charges, and both want me in prison. Bailey and Sepic were the ones to order a SWAT team to surround my house without any evidence of a crime. We the people must take a stand against corruption. The power of the people is stronger than the people in power. MERCED, CA —This has been the driest year in recorded history. The Sierra snowpack is 12% of normal. Delta water may be unavailable for many Central Valley farmers. In some counties ground levels are sinking as groundwater is pumped out. With fields left unplanted, up to 20,000 farm workers won’t have work this year. School districts will lose money as children move with their families in search of work. Beef prices may rise by 40%, and milk prices by 50 cents per gallon. Seventeen valley towns may go without water as pumps run dry. Five billion dollars in loss of revenue to farms, trucking, and food processing have prompted a state of emergency by Governor Jerry Brown and a visit to the Valley by President Obama. In this irrigated desert, the most productive agricultural area of the world, water is on the verge of being privatized and sold to the highest bidder. Into the third year of the drought, a political fight that has long been simmering is starting to boil over. Variously blamed on environmentalists, bureaucrats, fishermen, greedy farmers, wasteful homeowners, all sides are clamoring for relief. Lurking behind the scenes, however, is a potentially more ominous player at the water trough. And that is the oil companies, who utilize enormous amounts of water to extract oil and natural gas from deep under the ground in a process called fracking. It is suspected that the Westlands Water District is selling its water to oil companies. The water was obtained at subsidized prices and then sold at a profit to farmers and to Southern California. If farmers are charged $30 per acre foot of water and oil companies are prepared to purchase water at $3300 per acre foot, who is likely to get the water, particularly since Kern County where the Westlands Water District resides is called “oil land”? All of the proposed “solutions” to the water crisis, whether Democrat or bipartisan happen to benefit the Westlands Water district, which is 49% controlled by Beverly Hills billionaire Stuart Resnick, who has made financial contributions to both political parties. The drought and the upcoming elections signal that we are at a crossroads. One road enriches billionaires and career politicians, as it impoverishes and indebts the rest of us, and further degrades our environment. The other is a radical break from the two-party system. The Green Party platform, for which Luis Rodriguez is California Gubernatorial Candidate, is the only one which recognizes that we exist in a fragile balance with our environment upon which our survival depends, as well as promoting an economic bill of rights of sustainable jobs, financial reform, and real democracy where production is planned to nurture us and our future generations. Vote in the June primaries so that Governor Brown is forced to debate a candidate with a platform that serves our real interests and not those of profiteers who don’t care about us and our children’s future.